Ring in 2019 with a Florida Keys New Year's Eve celebration unlike any other. Enjoy an oceanfront dining experience accompanied by a live band and fireworks display! 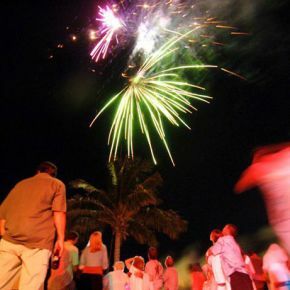 Your Islamorada New Year's Eve experience will be unforgettable and filled with sun, sand and the sea. The Taylor King Band playing from 9:30pm to 1:30am on the beach and fireworks at Midnight! Dinner Reservations are required to attend.